I like to hang quilts around my house. One of the easiest ways to do this is with a hanging sleeve. 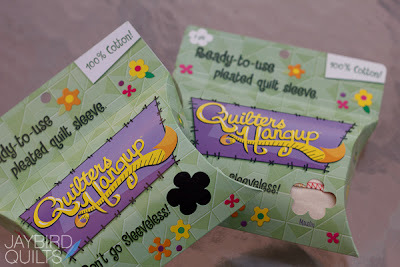 I used to make my own sleeves until I discovered the pre-made sleeves from Quilters Hangup. The sleeves are pleated which means that once they are hanging on a rod the front will still stay flat. Not sure what I mean? Check out the comparison photos on their website. The sleeves come in pack that is 3 yards long. 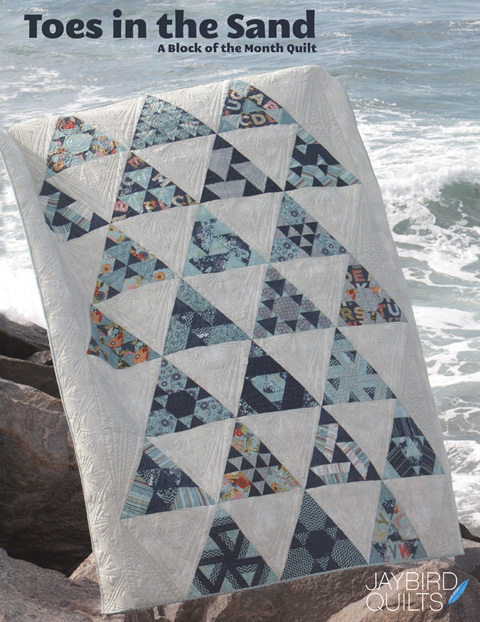 You can cut it apart and create a few sleeves for small quilts at the same time. I suggest cutting it about 1" narrower than your quilt width & attaching it 3/4" to 1" from the top of your finished quilt. 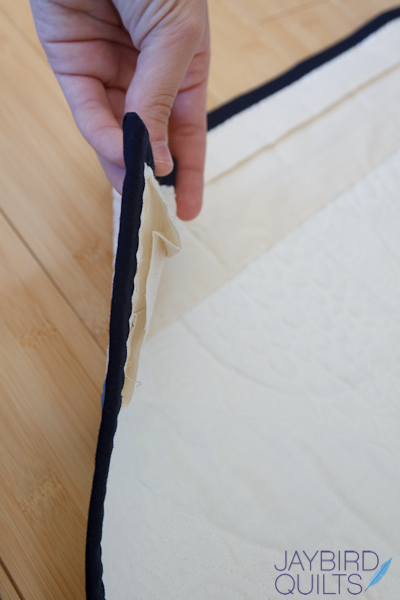 The pleated part needs to be placed facing out & then the sleeve can be hand stitched in place. 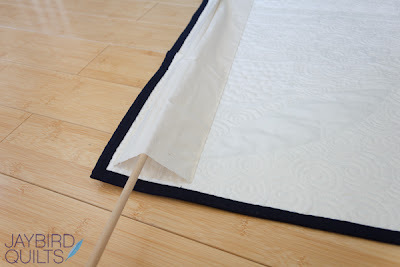 Be careful & make sure your stitched only go through the backing and batting and not the quilt top as you don't want them to show on the front. 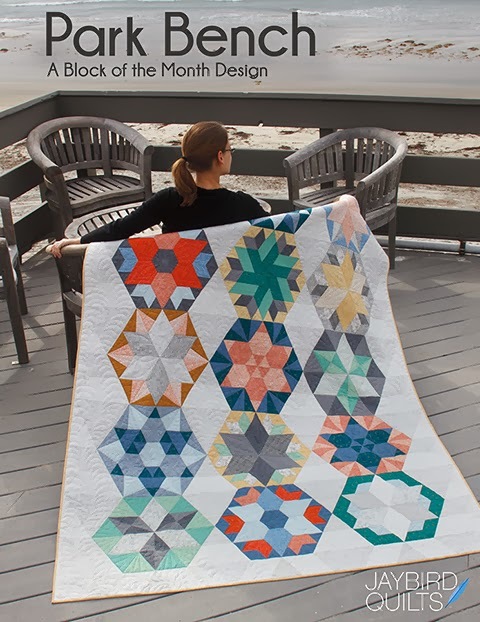 Full directions are available on Quilters Hangup. This shows how the pleat will enable the quilt to stay flat. Here is the back after stitching it in place. ...and here it is hanging on the wall! 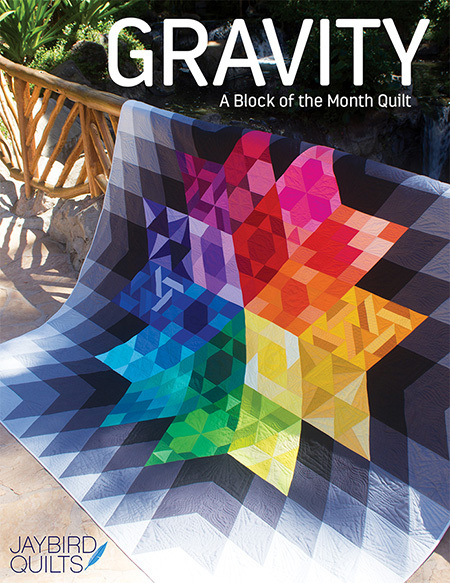 I used the same methods to create a sleeve for the mini-quilt that Rachel made me. For small quilts like this one and my Jaybird Quilts sign above I used 3/8" dowel rods. I get them at Home Depot & cut them down to the width of the quilt. Since I frequently change my mind & want to move things I avoid using nails unless I really need to. 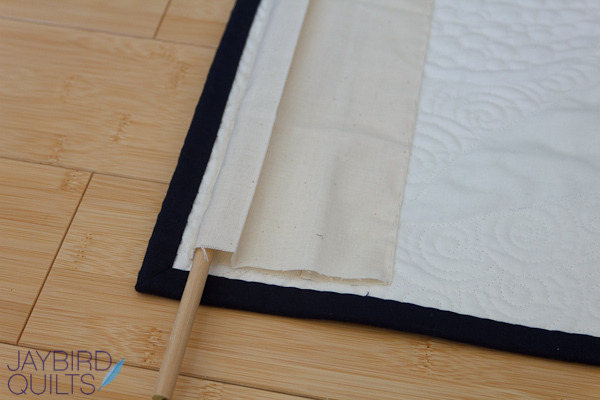 Larger quilts will probably need them due to weight, but these were both small enough to use Command Hooks. I've found that the Command Adhesive Mini Hooks & the Command Adhesive Micro Utility Hooks both work great for hanging mini quilts. 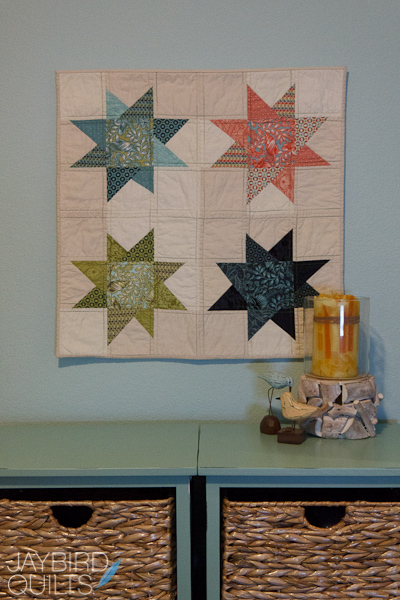 So grab one of those mini-quilts you have sitting around... add a sleeve & hang it up! I have used the sleeves before and I see they come in black now. I need to get some more. Thanks! Great idea and thanks for the hints. I'm just finishing up the binding & sleeve on a 42x33 wall quilt for a gift for a friend & was pondering what to do about the hanging rod! 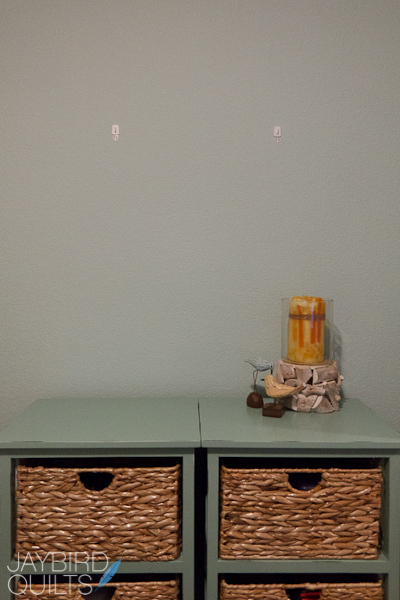 Love your Adhesive Utility Hooks idea. Thanks! Wow,I didn't know you could buy them. I always made my own, on the rare occasion I needed to hang one. Thanks for the great info! 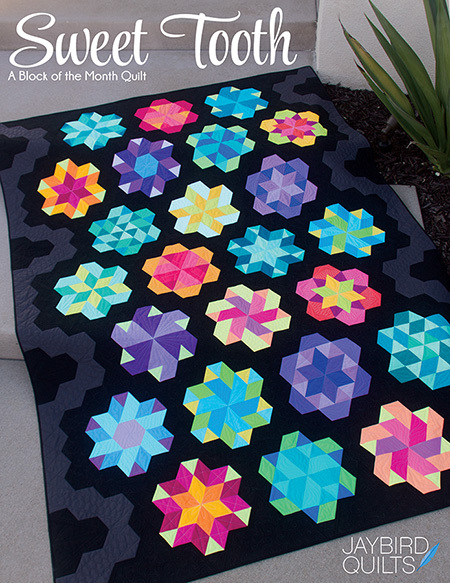 i love how much that mini quilt has been on your blog lately. almost makes me feel like i'm hanging out with you. I had no idea that pre-made sleeves were available. 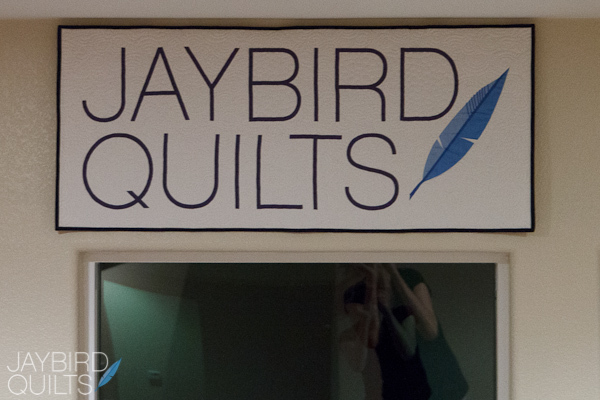 I've been making mine the old-fashioned way, which meant that the quilts would lie around until I got the sleeve done. Using pre-made sleeves seems so much faster and easier. Thanks for sharing! 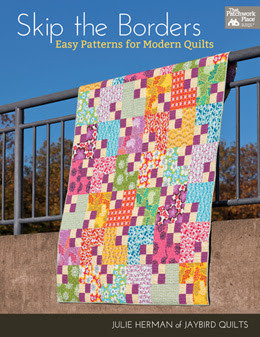 Thanks for the review of the quilt sleeves! They look fast and easy. I especially like your tip for using the command hooks. What a great idea! Have super day! Thanks for sharing those! 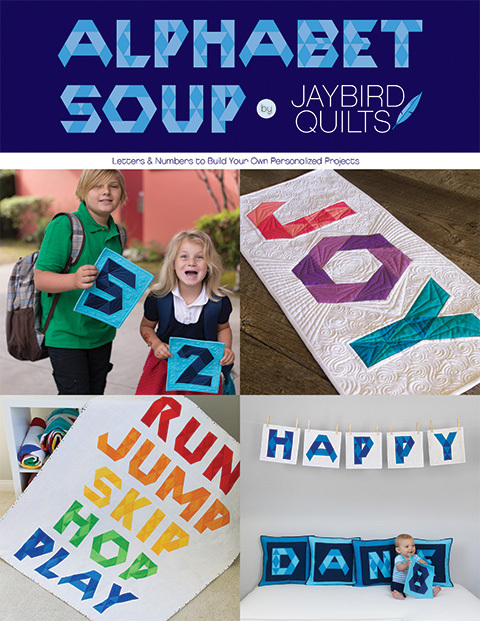 I ordered two and can't wait to try them and hang some quilts! I have started seeing these popping up on blogs. I would definitely like to try them some time. Come What May quilt top done!